Dominica is known as the Nature Island. It is a trailhead to adventure and discovery. It is volcanic peaks, sparking waterfalls, boiling waters, bubbling springs and as many rivers as there are days in a year. Whether you’re with your family, your partner or on your own, Dominica is a natural Paradise. The moment I arrived at the airport I was picked up by my guide and we drove directly to Sari Sari Falls. It’s located on the east coast within the village of La Plaine. It starts with a steep incline to the bed of the Sari Sari River and it had me wondering if we hiked the same way out. The answer was “yes”! Stiff from a full day of plane travel, it wasn’t a good start. As we made our way along the trail, I realized how magnificent it was and my body accepted the challenge. The trail traverses along the river bed, crossing several times. The cold water was refreshing and I didn’t mind splashing it on my legs and arms. The return trip took us three hours of up and down hill hiking and crossing the river but that was part of the adventure. When I arrived at the waterfall, I was transfixed by its beauty. The picturesque falls and the swimming pool at the bottom were my rewards for hiking. At the base of the waterfalls, I took a relaxing dip in the hot springs and pools. My aching muscles thanked me and rewarded me with the energy to continue my adventurous day. 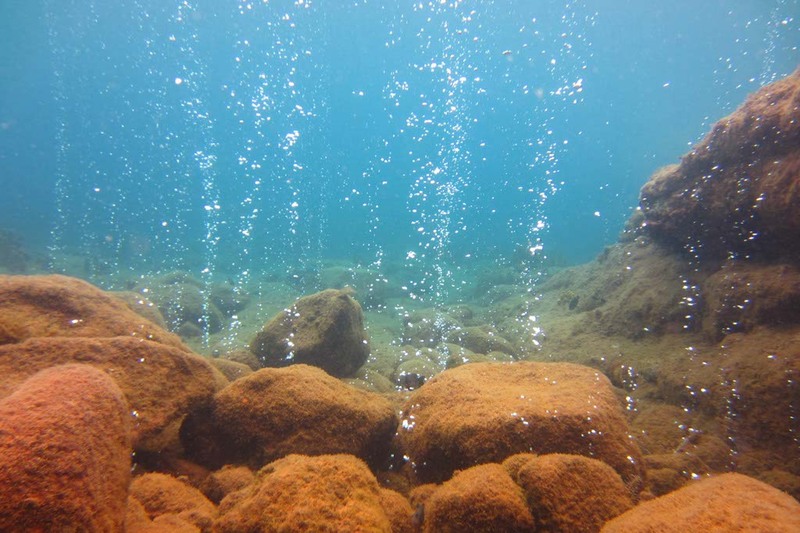 At Champagne Reef, underwater geothermal springs vent gasses in the form of thousands of warm bubbles that made me feel like I was swimming in a giant glass of Champagne. Add the spectacular myriad of sea life including parrot fish, turtles, sponges and coral and I was drunk with underwater happiness. My dream day on the island was spent jumping over cascades into crystal clear pools, wading, swimming, climbing and rappelling through waterfalls and exploring the hidden depths of this magical island. Extreme Dominica took me into a new world of adventure. Before ever jump, I stopped and took in all the curves and shapes of the canyon. Like a kid again, I giggled with anticipation as I waited to rappel into the falls and I smiled whole way down. 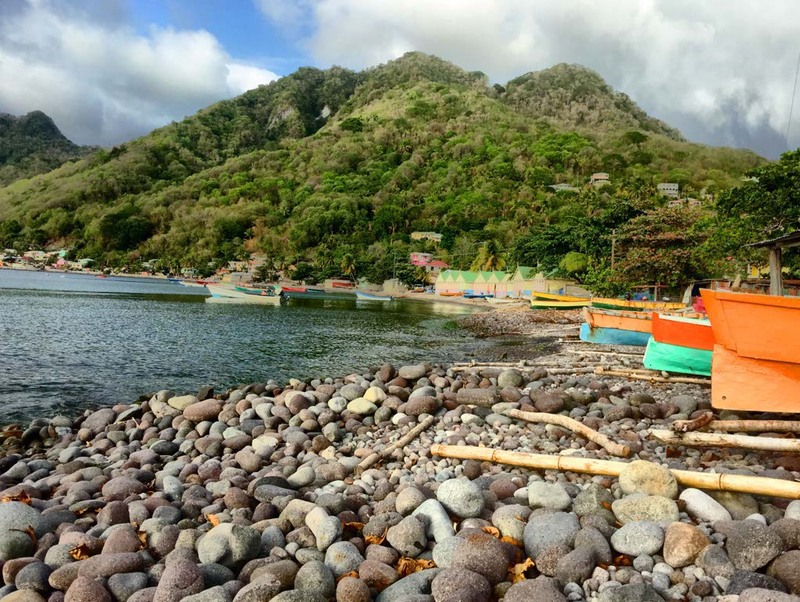 Scotts Head is a small fishing village located on the southern tip of the island of Dominica, overlooking Soufriere Bay. A peninsula located west of the village is called Scotts Head Peninsula and is the meeting point of the Atlantic ocean and the Caribbean Sea. I walked to the top of the mountain on the tip of the peninsula and looked out over Dominica, the sea and the ocean. I turned around and around, looking at the natural beauty of it all. That same ocean would lead me all the way back to my family in Nova Scotia if I sailed it. I had the hilltop to myself but I couldn’t stop grinning. What a beautiful world we live in. 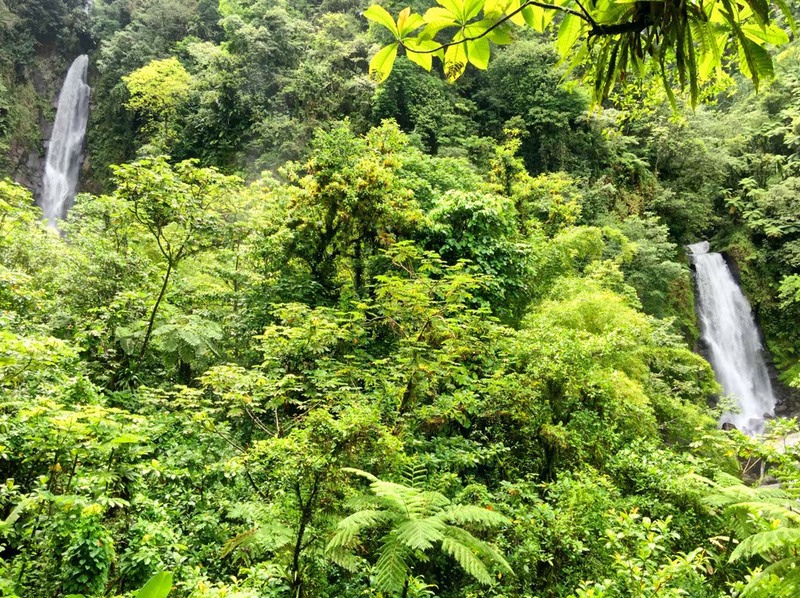 It’s easy to fulfill a nature bucket list in Dominica. From the highest mountains to the depths of the sea, Dominica is unlike any other Caribbean destination and unmatched in its Caribbean beauty. *Disclosure: A special thanks to Dominica Tourism for making this trip a reality. All opinions and thoughts are my own. Champagne Reef looks so clear and absolutely beautiful! I would love to visit Dominica just for those reefs! Those 2 falls are quite amazing as well. I think Dominica just made our list, Thanks to you! It’s so naturally beautiful here, Brenda. You could hike a different trail every day of the week and still find something new and beautiful. What islands in the Caribbean have you visited? I don’t think I’d dare make a jump, but the photos of the beaches and the falls look gorgeous! Dominica hasn’t been our “to visit” list, but maybe it should be! Thanks for sharing. It’s one of my favorite islands in the Caribbean and I’ve been to most of them. The nature beauty here is unbelievable. What is your favorite island so far? I haven’t been to any islands yet, Lesley! I love your description of the Champagne Reef. How fun! Beautiful photos and what a list you covered! I have always wanted to go canyoning, it looks like SO. MUCH. FUN! Dominica looks wonderful, what a great place to go. 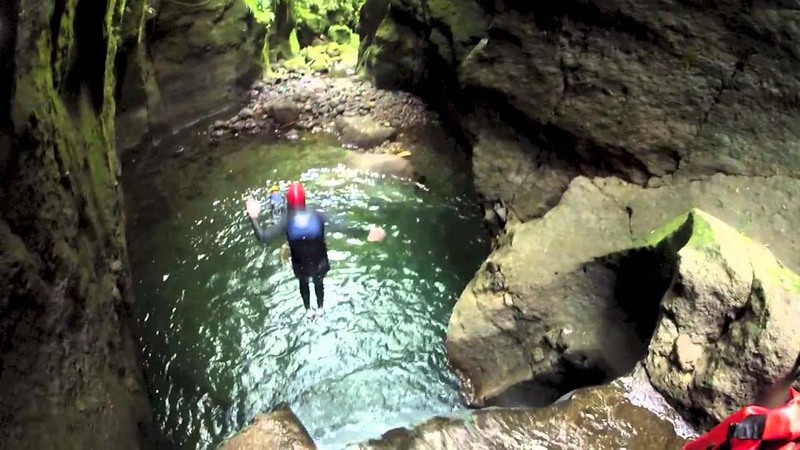 Canyoning looks so, so fun! My aunt went here a few years ago and ever since it has been on my radar. So beautiful. I would love to snorkel or scuba dive on Champagne reef! It was so nice to meet you in Dominica. I am excited to see your travels on the blog. Hope you got home alright. We had a very long travel day on Saturday. Keep in touch! Each time I read one of the adventures, I decided that was the one I wanted to do! What amazing outdoors activities. Love the idea of Champagne Reef particularly, but the waterfalls are also beautiful. Champagne reef looks amazing. I’ve never been to Dominca, but if I go, this will be my bucket list, too! Canyoning looks amazing!!! I’ve heard so many amazing things about Dominica, I’d love to visit. I was born in Dominica, and I have travelled much; I simply have not come across any natural, scenic, beautiful place like Dominica. Anytime I see pictures of Dominica, the beauty of them steal my breath away. 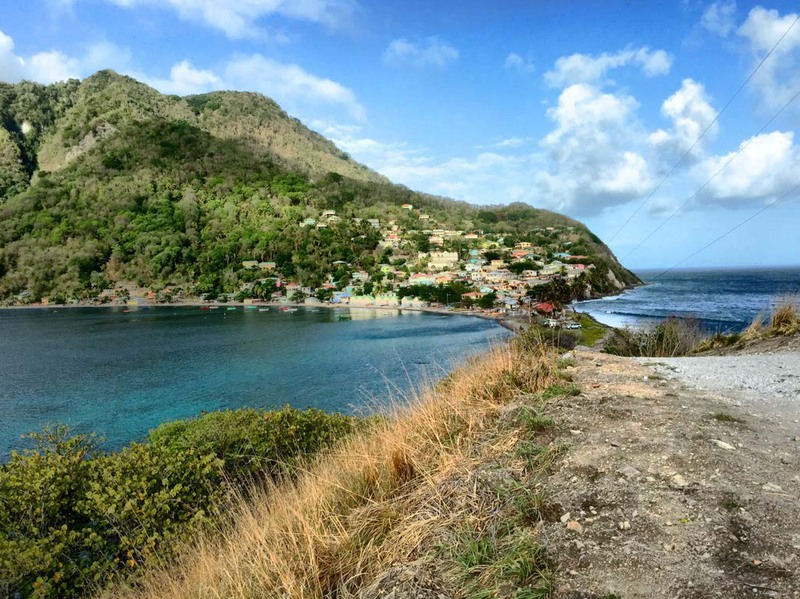 An American man was so captivated by pictures he saw of Dominica, that he made his way to there and loved every bit of it, we fell in love , we married, he purchased property there, and then retired to live in DOMINICA. 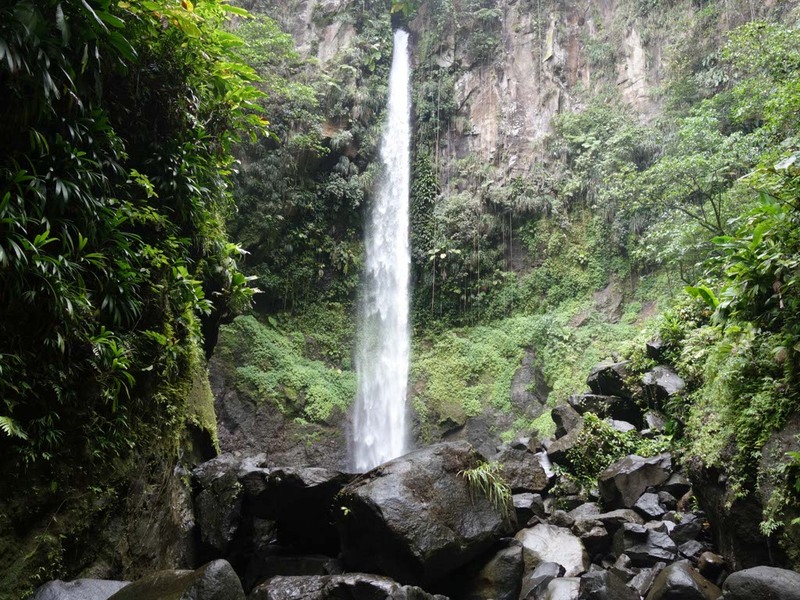 Sari sari falls look beautiful and there are so much to see and do in Dominica. I have never been there and this inspire me to think about it. Dominica is a wonderful and unique island – very different from “the bunch” – and you did it justice, Lesley. It is slowly gaining momentum and popularity and is working hard on its tourist image. The hiking is the best part! These places really deserve a place in everyone’s bucket list!